Forest Garden Log and Tool Store: The Forest Garden handy outdoor storage unit is a practical outdoor building for storing logs, coal and garden tools. The Forest Garden store features an adjoining unit which has an integral shelf and a door for storing outdoor tools. 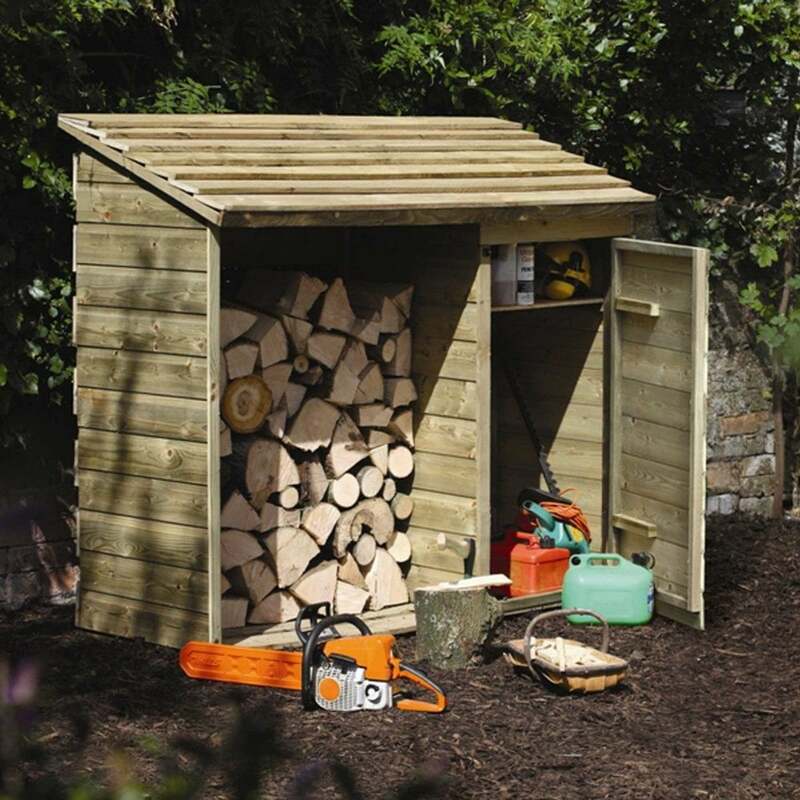 The Forest Garden Store also includes a slatted base and back to encourage air flow to the logs providing a simple yet effective way to store items and also includes a 15 year manufacturer's guarantee.